An outsider might think Tronc, formerly known as Tribune Publishing, is waging a war on its own reporters at Pioneer Press, the Chicago suburban newspaper chain Tribune acquired last year. In the latest incident, veteran Evanston reporter Bob Seidenberg was told that he is being removed from his beat. Seidenberg, an award-winning writer for the Evanston Review, has been covering the city for nearly 30 years. Seidenberg was ordered to start covering Franklin Park and several other west suburbs starting Sept. 26. About a week before he was informed of his new beat, Seidenberg riled his editors by withholding his name from a story. He considered a new lead written by one of the editors inaccurate. Pioneer reporters represented by the Chicago News Guild, A CWA (Communications Workers of America) local, have a contractual right to withhold their names from their own work. Seidenberg said he got a call from top Pioneer editor John Puterbaugh, his local editor’s boss in Chicago. Puterbaugh, he said, asked why he withheld his name from the story and questioned the story’s value. The story dealt with an Evanston official declaring, for the first time in print, that the city was planning to build a new $30 million community center instead of renovating the existing center. Seidenberg said Puterbaugh told him he was tired of dealing with such matters. The Pioneer editor told him to call his local editor and discuss the matter with her, he said. His local editor called the byline withdrawal “hostile,” he said. Calls for comments from Puterbaugh and other managers were not returned. Dave Ellis, a retired Evanston firefighter, said losing Seidenberg would hurt Evanston. Tension was already growing leading up to the disputed article. Seidenberg said a new editor instituted a rule requiring almost all stories to be submitted on Fridays – six days before the Evanston Review comes out. Only “meeting stories” could be filed before the Tuesday evening press run, he said. Important news occurs over the weekends and early weekdays, he noted. Seidenberg’s pending removal is just the latest in a series of warnings, threats and accusations by Puterbaugh and other managers against Pioneer Press reporters on almost a weekly basis since Tribune (now Tronc) took over the 32-newspaper chain last year. In the past year nearly half of Pioneer’s full-time news reporting staff has received warning letters from editors. They have had negative letters placed in their files, been threatened with “termination,” been required to sign letters acknowledging they were informed about their alleged failures and required to attend “coaching” sessions the Guild regards as punishment or disciplinary steps for their record. In repeated instances, said the union’s Rosenbaum, reporters were called to the Tribune Freedom Center in Chicago by Puterbaugh believing they were going to problem-solve. Some walked away thinking the matter had been resolved only to learn later that a note had been placed in their permanent files. 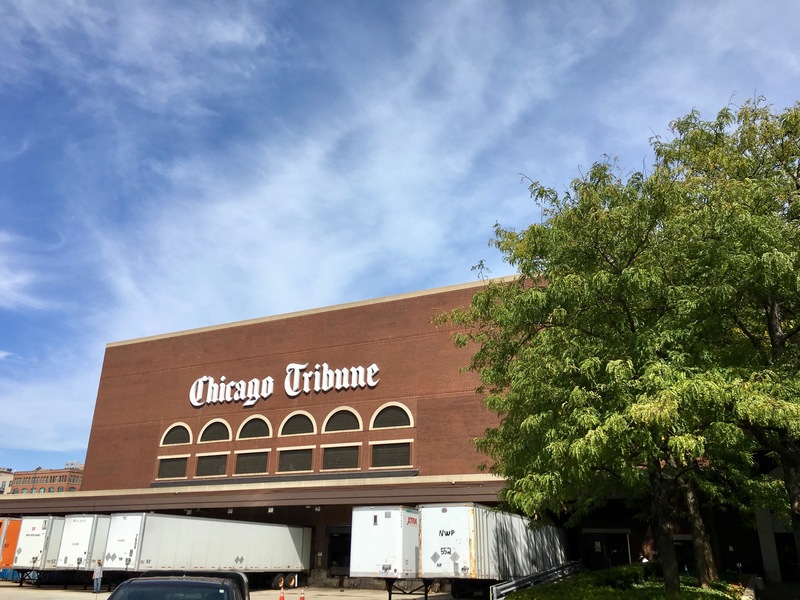 The union sat down with Puterbaugh and his boss, Phil Jurik, editor of the Tribune’s Chicago Suburban News Group, in early June to try to work out these issues. Jurik backed Puterbaugh and the same pattern of behavior continued. “We’re taken aback by the sheer number of allegations made against so many veteran reporters,” Kambic said. Shortly after that meeting, a reporter in the suburbs was presented with unspecified performance issues and told to start reporting to work at Puterbaugh’s office in the Freedom Center daily. His phone calls were monitored and his trips to the suburbs were timed. “They wanted to fix me but they couldn’t make up their mind about what the problem was,” the reporter said later. The ordeal ended after nearly three weeks and constant union involvement. Some of the reporters said they have been ordered to rewrite storied multiple times. One reporter said he had to rewrite a story 20 times. Some said they still receive harsh criticism, even though emails indicate they were following directions. The Chicago News Guild has filed about ten grievances against the company because of its actions. Formal arbitrations are expected to be held on most of them, Rosenbaum said. A federal investigation of the Seidenberg transfer is under way. An Unfair Labor Practice charge was filed by the Chicago News Guild with the National Labor Relations Board. By any measure, it is a peculiar, anxiety-filled, stress-filled situation for a staff that is stretched thin by a relentless series of layoffs over the past decade and already stressed by management trying to squeeze out more production. Most of the reporters are experienced professionals but are being treated like a nuisance. Targeted reporters interviewed said that while they don’t like or understand what they see as harassment, they still enjoy the work they do every day. Many are invested in their communities and the issues they cover. Others said they feel like an ax from the Freedom Center is hovering over their necks every day. What horrible news on so many levels. Perhaps Mr. Ferro should get his nose out of his beloved hard journalism Sunday magazine “Splash” and study the history of Chicago journalism. Mr. Ferro will find quite a wide and deep backlash to the exile of Mr. Seidenberg to Franklin Park and other western suburbs. Are they hoping Mr. Seidenberg will retire, so they can hire younger, inexperienced writers for less? This action smacks of age discrimination. Mr. Seiden berg is as much of an institution in Evanston as anything else in the last 30 plus years. The loss of his talent, knowledge and passion are simply irreplaceable. He is a throwback to the Front Page era of journalism. It would probably be inappropriate to call him an “ink stained wretch” (authorship forgotten), but an “ink and digitally stained wretch” may be appropriate. I applaud Mr. Seidenberg for not putting his name on an inaccurate article. As Mr. Dornfeld, an editor at the old City News Bureau: “If your mother says she loves you, check it out !” For Mr. Puterbaugh, his punishment should be to attend all Evanston City Council meetings in Mr. Seiden berg’s place and tryto learn how Mr. Seidenberg made the tedious, difficult job of covering Evanston so well, for so long, look easy. I’m sure we would all like to hear what was inaacurate in the article to cause Mr. Puterbaugh’s tired tantrum. As a professor at the old Medill School of Journalism said many years ago as quoted in his obituary: “Journalism needs more watchdogs, not lapdogs!” Thanks Mr. Seidenberg for not being a “lapdog”. Our crazier by the day world could use a lot more journalists like you. This is an affront to the residents of Evanston and an attack on our free press. professional that we can count on to get to the heart of an issue and lay it out clearly and with integrity. Good newspapers, and their reporters, are extremely valuable to the health of a society. Looks like The Tribune is going the route of being another empty rag by squandering its valuable resources. Bring back Bob! And TRONC is a really stupid name. It’s tronc, with no uppercase “t.” Not Tronc, not TRONC. The name was officially rolled out as tronc, Inc. and that’s the way it should be repeated, every single time—-in all its ridiculousness. It’s clasic, set them up and either fire them or screw them on raises. Create false performance issues and fill the files with negative reports. These can be used to defend themselves in legal and labor litigation, after employees are fired. I couldn’t believe my eyes when I saw that this article was about Bob Seidenburg. He should receive an apology and restored to his beat in Evanston. When award winning author and infamous writer, Mike Downey, was let go as sports writer for the Chicago Tribune and Charles Cherney, a Pulitzer Prize winning Photographer for the Trib was also let go, I ended my subscription with the Chicago Tribune. Having Bob Seidenberg cover Franklin Park to cover stories is absolutely pointless. I only bought the Evanston Review because of many wonderful stories that Bob wrote for us here in Evanston. I will not be buying or even reading the Evanston Review if Bob Seidenberg leaves his Evanston beat. Immediately. This all sounds like the Gestopo! I am absolutely stunned and angry that the Tribune would stoop to such childish behavior as far as removing Bob Seidenberg from being an Evanston reporter. Bob knows Evanston, and citizens of Evanston know Bob and trust his analysis of Evanston activities. Shame on the Tribune for showing such an ugly side. I and others want the Tribune to do the right thing and let Bob retain his position as an Evanston reporter. This is exactly the type of harassment CPS teacher’s have been experiencing for years. It’s called Union Busting. Cancel your subscriptions unless and until Mr. Seidenberg is reinstated. Shame on Tronc. Bob’s objective informative voice is needed in this town. He must be reinstated to Evanston. This is shameful. Bob Seidenberg knows Evanston and Evanston issues like few other reporters out there. Punishing him this way hurts Evanston and significantly devalues the Evanston Review. Bring him back! This is unbelievable, just unbelievable. I have lived in Evanston for about as long as Seidenberg was reporting on it, and came to consider him an institution without which the city could not operate. Bob due to his experience and professionalism brings the best of the best from diverse Evanston to the Pioneer Press. Who else can continue that? NO ONE. Among the other poor employee treatments outlined here, I am still trying to wrap my head around this one: ‘One reporter said he had to rewrite a story 20 times. ‘ How is that even possible?! What a sad statement about the state of journalism. This is a terrible decision. Keep Bob Seidenberg in Evanston where he is a trusted and reliable reporter. Bob Seidenburg is the Evanston Review. Please put him back where he belongs, not to mention it makes the Tribune look good. I have been a subscriber to the Evanston Review for decades. One of the highlights of this paper has been the writings of Bob Seidenberg. He has the heart and soul of Evanston. If this petty transfer is not rescinded I will be canceling my subscription on October 1st and hope to never see a Tronc Pioneer Press paper again. Shame on John Puterbough, Pioneer Press and Tronc for removing one of the people most knowledgeable about Evanston from the Review’s coverage of our city. As a long-time subscriber of the Evanston Review, I have always been able to count on getting the straight story from Bob. His contacts and knowledge of the happenings in Evanston is unmatched. In fact, I have long kept my subscription to the Evanston Review to show support for solid journalism. I encourage the powers that be to reconsider this ridiculous and petty move. If this decision was made for “business reasons” it is certainly a poor business decision and needs to be reversed. Mr. Seidenberg’s reporting on Evanston issues has been fair and balanced for almost 30 years. I have had the pleasure to work closely with him many times. The absence of his reporting on critical issues will be a tragic loss to the Evanston community. Bob Seidenburg’s byline and story coverage of all things Evanston have been a staple to the Evanston Review and are now generally the only thing worth reading lately. I imagine that the current dwindling Evanston Review readership (at last count 2k and dwindling) should help be the final nail in the coffin! Great Move, TRONC/Tribune! This is infuriating news for Evanston. Bob Seidenberg is a brilliant writer and knows Evanston like nobody else. The Trib will never be able to replace him with anybody nearly as capable and talented as Bob. I think all Evanstonians should boycott the Trib until Bob Seidenberg is back on the Evanston beat. I, for one, am canceling my subscription today. Now this is just stupid, Bob can go where no one can and get the real story from people and places no one can!! Let the boycott of the Review and it’s parent Company the Tribune begin!! What this means is all storylines from and about Evanston will be fluff! !